Even now I remember the feeling of a heavy school bag on my shoulders and tired, achey muscles after a football match. Teenage bodies undergo stresses from changes in posture and growing as well as the demands of school and sports. I wish I had known about Pilates rather than being told to hurry on and stop complaining!! Was I truly a lazy, grumpy teenager or was my back really sore after the soccer blitz? Would I have tidied my room if my legs didn’t ache from football training? I might even have sat up straight at the table if I actually knew how to sit comfortably in correct posture! Imagine having the chance to stretch those overworked muscles and relieve the dreaded growing pains, all while moving to good music with people your own age? The feeling of strength and power that comes from using our muscles properly gives us an advantage on the playing field and prevents pains and aches, now or in the future! Pilates is a wonderful way of providing whole body exercise for both the non-athletic and the competitive sporty teenagers. Pilates is a great way of getting reluctant growing teenagers to participate in exercise because it caters to their various ages, fitness levels, and athletic abilities. A Teenage Pilates class comprises safe exercises to help increase flexibility and coordination while also improving strength, balance and performance in sport. 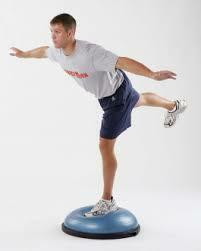 It is the form of exercise that works the entire body with emphasis on function. It is fantastic for the growing years, supporting good body alignment. Pilates helps teenagers gain awareness of their own body and understand its workings. It helps to improve the way their body functions, looks and feels – and knowing their body inside and out leads to greater self-esteem. Why Teenage Pilates at Cahir Physiotherapy Clinic? At Cahir Physiotherapy Clinic our Teenage Pilates has been specifically designed by us- Chartered Physiotherapists- to help suit the demands of the teenagers we see in the clinic. As such, we understand that both non-sporty teens and competitive teenage athletes benefit from exercises that specifically target posture, alignment, core strength, coordination, balance and flexibility. For all teenagers, improving these attributes builds a positive self image. For teenage athletes, the Teenage Pilates class are beneficial for prevention of sports injury, rehabilitation post injury and improved sports performance. The classes are run on Wednesdays at 4pm at Cahir Physiotherapy Clinic. The classes are based on fun small group setting -maximum 8 participants per class. Call the clinic today 0527445477 to book your place. Parental or guardian consent is mandatory. Marie Aherne is a Chartered Physiotherapist who has been teaching Pilates for 4 years. She is a graduate of the Royal College of Surgeons in Ireland and is currently undertaking a Masters Degree in Sports Physiotherapy at University of Bath. She is the Chartered Physiotherapist to the Tipperary Senior Football team. It’s March- the Tipperary GAA county football league and Under-21 championship have started. It’s a great time to remind you about the importance of a good warm up to prevent injuries in hurling and football. There is lots of evidence from sports science and medicine research that a well planned warm up reduces the number of injuries in a squad. So from a success and a costs point of view it’s worth doing! Gone, hopefully, are the days of lads and lassies running straight out of the dressing room and hoofing a big kick of a football over the bar. That is a recipe for a pulled hamstring or pulled muscle in the front of your thigh.. and a few weeks of missed training. For GAA hurling and football coaches, the warm up is an ideal opportunity to regularly coach injury prevention exercises to keep the squad as healthy as possible all season. The pace of the GAA warm up should be graduated so that it starts easy and builds up over the duration of the warm up to get to the pace of the training session. So the first few drills of a warm up should be easy to do, and the last few drills before starting training properly should be at training intensity. There should be ‘activation’ exercises to wake up your reactions for demanding activities like running, landing and rapid changes of direction. It should include leg strengthening exercises, like lunges and squats. Finally, it should include agility and power exercises. The GAA have recently launched a warm up GAA 15 that includes exercises which, when coached regularly, have been proven to reduce the number of injuries in squads. It is a really useful tool for coaches to use and incorporate into their own warm ups for their football and hurling teams. 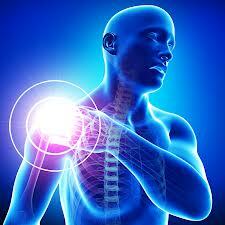 Frozen Shoulder- how can physiotherapy help? Frozen shoulder is a condition that affects both men and women in which the shoulder becomes painful initially and then very stiff. It affects normal daily activities, like brushing hair and getting dressed and driving. It mostly occurs in patients between the ages of 40 and 65 years of age and it usually lasts 1- 2 years. When a patient arrives at the clinic, they usually say that they can’t remember ‘hurting it’ and say that the pain started for no particular reason. There are some people more prone to this condition than others, those with Diabetes or a heart or lung disease. Frozen shoulder occurs when there is swelling and thickening of the stretchy covering that surrounds your shoulder joint. This tissue is known as a capsule. In cases of frozen shoulder, it seems that bands of scar tissue form inside this tissue, causing it to thicken, swell and tighten. There are usually 3 phases of variable duration of the condition. Initially the patient complains of increasing pain with normal daily activities and later on the shoulder becomes stiffer. This phase can last anything from 2 to 9 months. In the second stage, the pain stops getting worse or may improve, but the shoulder stiffness is worst- ‘frozen’ and is quite debilitating. This stage lasts from 4-9 months. Finally, the pain subsides and the shoulder gradually regains movement ‘thaws’. It is a common occurence that a patient would arrive in the clinic complaining of a frozen shoulder, when they may have a different shoulder condition. A Chartered Physiotherapist will ask you lots of questions to ensure that you are treated correctly. At all stages of the condition, physiotherapy is aimed at reducing pain and maintaining movement, education about the condition and encouraging normal movement. It is really important to try to use the shoulder as much as possible. Ice and heat may help with symptoms. Your General Practitioner may suggest a corticosteroid injection also. The combination of injection and physiotherapy has been found in research to be helpful to relieve symptoms. Anterior cruciate ligament (ACL) tears of the knee are back in the news recently with Colm ‘Gooch’ Cooper’s injury and subsequent surgery making the headlines. Born and reared in Co. Cork, I can’t say that I shed any tears for the consequences for Kerry football myself. But, for those Kerry folk hoping for a quick return to play later on in the year for the star footballer, they would be better off if he delays his return to matches until much later in the year or even next year. After cruciate ligament knee surgery, returning to sport at the same level that you were playing (club or county) at when you got injured, is a big challenge. The risk of re-injury to the same knee or the opposite knee after undergoing ACL reconstruction surgery is as high as 30%. The risk is higher if you are under 18 years of age. Following ACL surgery, successful return to full activity and prevention of reinjury require advanced rehabilitation led by a Chartered Physiotherapist. What’s important is that the risk factors that may have led to injury injury in the first place are tackled in your rehabilitation. You will need the expertise of a Chartered Physiotherapist to safely assess your movement and progress your rehabilitation to the point when you are safe to return to action. Poor control of hip and knee movement in activities like jumping, landing and rapid changes of direction is something that can be improved with exercises. Based on your particular sport your Chartered Physiotherapist will design a programme of advanced exercises to improve your balance, strength, agility and power. These will be challenging exercises and will require hard work on your part. Based on your ability to perform these more challenging exercises, your Chartered Physiotherapist will be able to decide when it is safe for you to return to sport, to training and to matches. The perserverence and patience required to stay focused will play a large part in how successful your return to sport is. This mental strength that Colm Cooper is credited with, will ensure a successful return to play for the star in 2015. Despite my lack of love for Kerry football I do (really, I do!) wish Colm well with his rehabilitation.